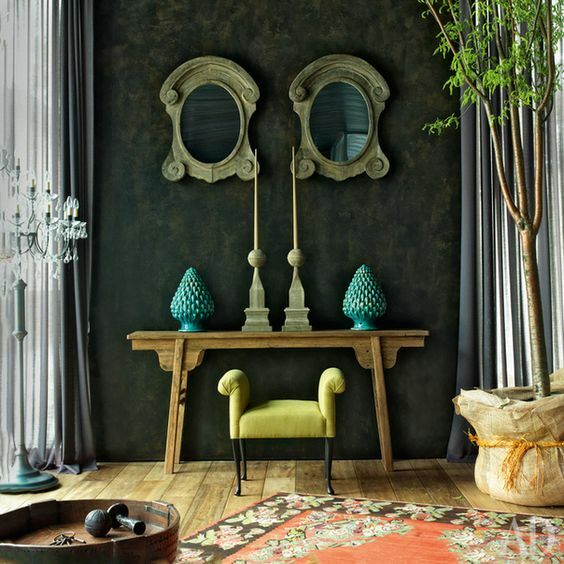 Incorporating rustic Chinese furniture into your home layers the past among the present. It tells a story– a time when men made their own houses, barns and furniture from native woods fastened by forged iron and countersunk pegs. For centuries Chinese craftsmen meticulously created chairs, tables, armoires and bureaus with hand oiled tools passed down from their fathers. The opposite of mass-produced furniture, it's a marriage of the craftsman and his materials; each board is selected to expose the wood's unique character, grain, and luster. The style recalls homes built of natural objects that blended with the countryside around it: log cabins, lodges, airy lofted breezeways with views of the mountains, any tough place where sturdy furniture was needed to withstand the elements. It's relaxed, informal, distressed by the generations that used it, built with quality in mind. Rustic furniture can be found anywhere where there's a history of place: a well-worn oak coffee table cozied up to a stone fireplace, a butcher block in your grandmother's kitchen, an antique Arts & Crafts rocking chair on the porch. Although rustic furniture was originally made from whatever wood was most abundant, using recycled and reclaimed materials like old barn wood, railroad ties, hand hewed beams and paneled doors are also quite popular materials. Although rustic furniture is commonly found unvarnished with a hand-rubbed beeswax, natural oil, or clear polyurethane finish, it can brighten any kitchen, bath, living room or bedroom when its patina is a pretty shade of white, blue, gray, yellow, red, or green. Rustic furniture adds visual weight and stability to a room with it's rugged craftsmanship. There is a textural emphasis to this type of furniture and so it pairs well with rich-looking woven natural textiles like wool, animal hides, jute, and braided rag rugs. Metals like antique silver, casted bronze, and pockmarked iron juxtapose its ruggedness. Natural elements from the outdoors like collections of shells, driftwood, or a grouping of botanicals also pair well in a rustic furniture setting. 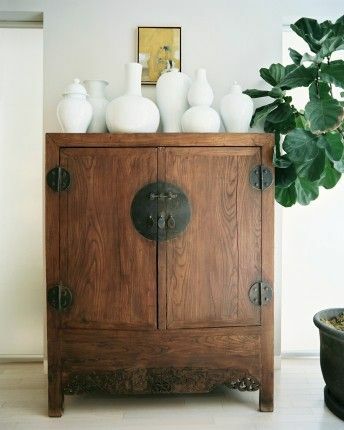 DYAG East's rustic furniture collection is handpicked by us from local Chinese dealers who traveled the Chinese countryside hand selecting unique, one of a kind, antique pieces made by master craftsmen schooled in centuries-old techniques. Care has been made to trace our furniture's history, identifying the wood, patina, and period of creation whenever possible.